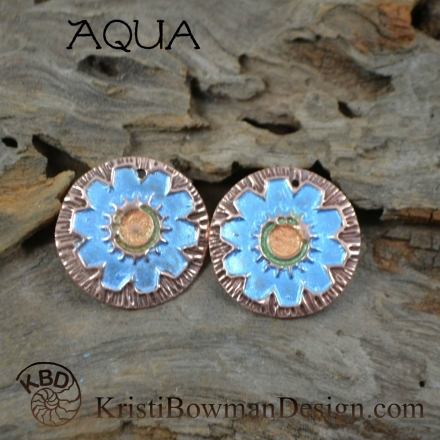 Thinking of this, I decided to share handmade artisan creations in a wide range of blues that can be contained in a Southwest Desert sky in a single day. 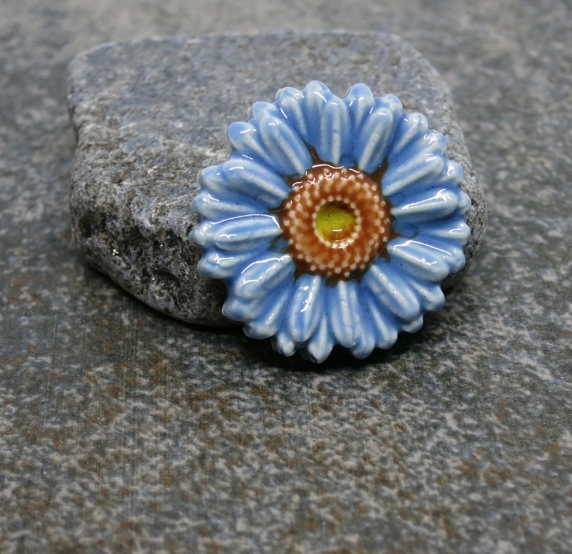 I hope you enjoy these expertly created items from Indiemade artist friends. Enjoy! I hope you enjoyed these Great Blue Dome selections! If you would like to make my day and the day of the artists featured, please leave a comment. And any promotion you can do will be greatly appreciated. Thanks! 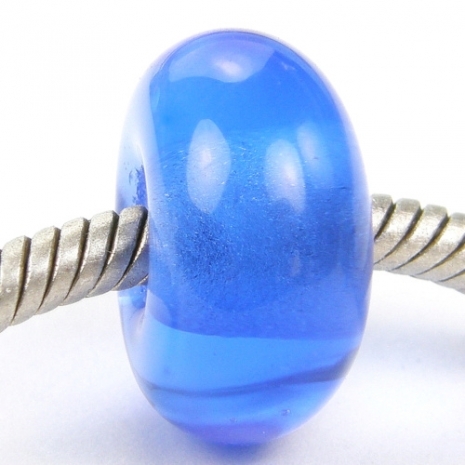 Such a soothing collection of wonderful blues! 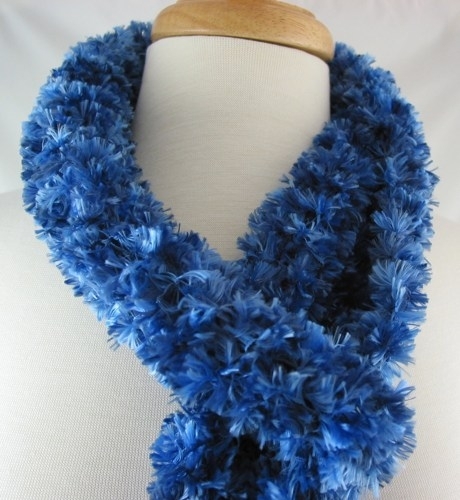 Thanks so much for including my boa scarf. I think you captured it! Such beautiful blues! We are luck to have this gorgeous atmosphere! Thanks so much for including my pendant. 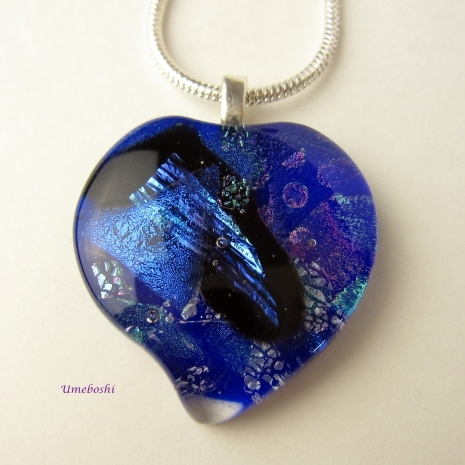 So many lovely blue creations here - wonderful choices, Catherine! I get the same feeling when I am out on a lake fishing as I do in a church full of people. In fact, it sometimes feels like a more direct connection with God. 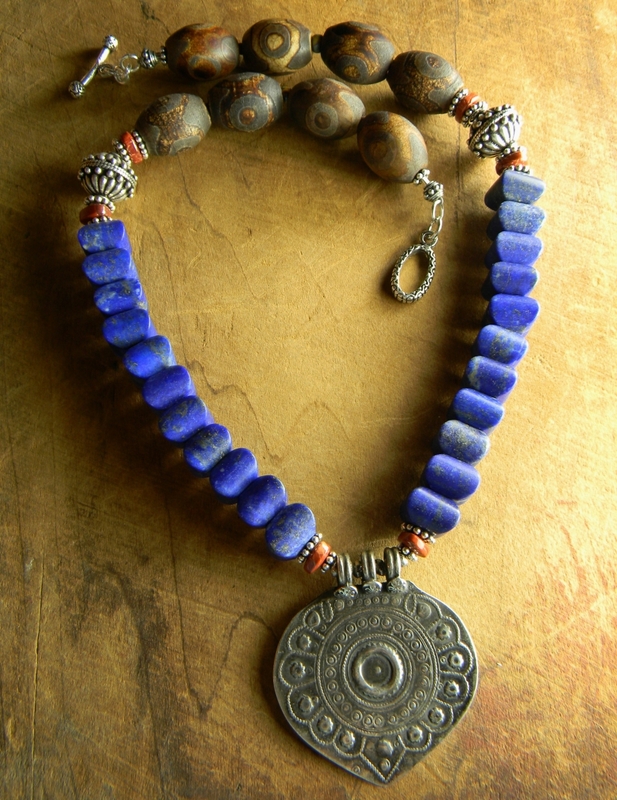 All of your selections are marvelous, and I thank you for including my lapis lazuli necklace. I never tire of the color blue! 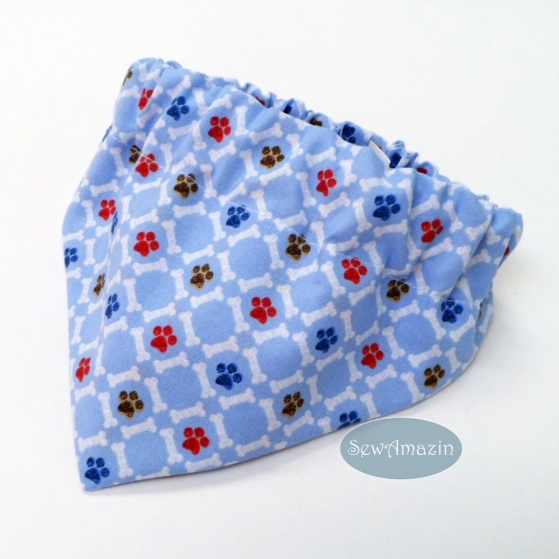 Thank you for including our Paws and Bones Dog Bandana in this week's blog. Pinned all the wonderful selections. I am also fortunate to have "big skies" and often blue skies around me. I love the wonder of the ever-changing blues. 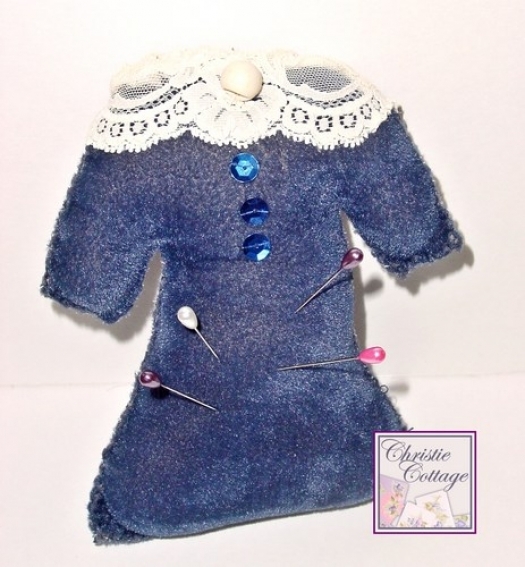 The handcrafted wares that illustrate your blog this week are amazing. 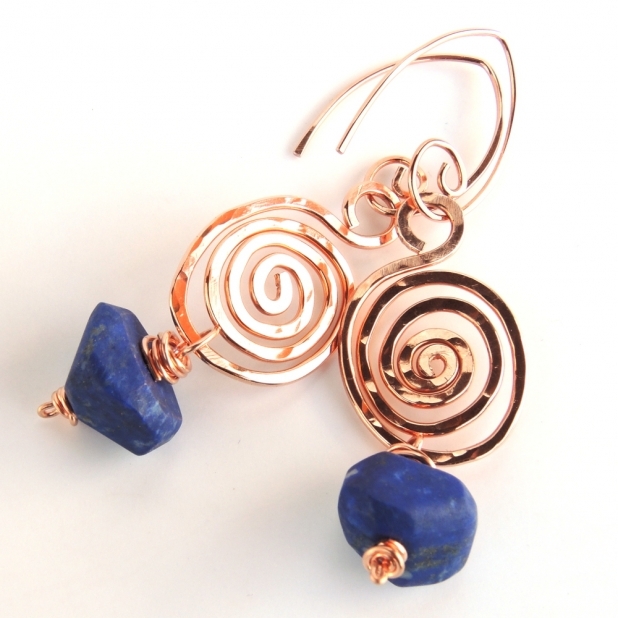 I'm honored you chose my lapis nugget earrings. 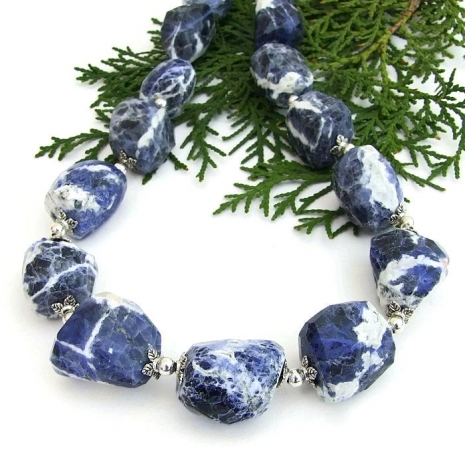 I think Covergirl beads has "velvet blue" expressed perfectly - and your sodalite necklace and Chrysallis's stunning lapis necklace have those darkening towards evening skies down pat. Every single creation is perfect for the theme and in their own right.